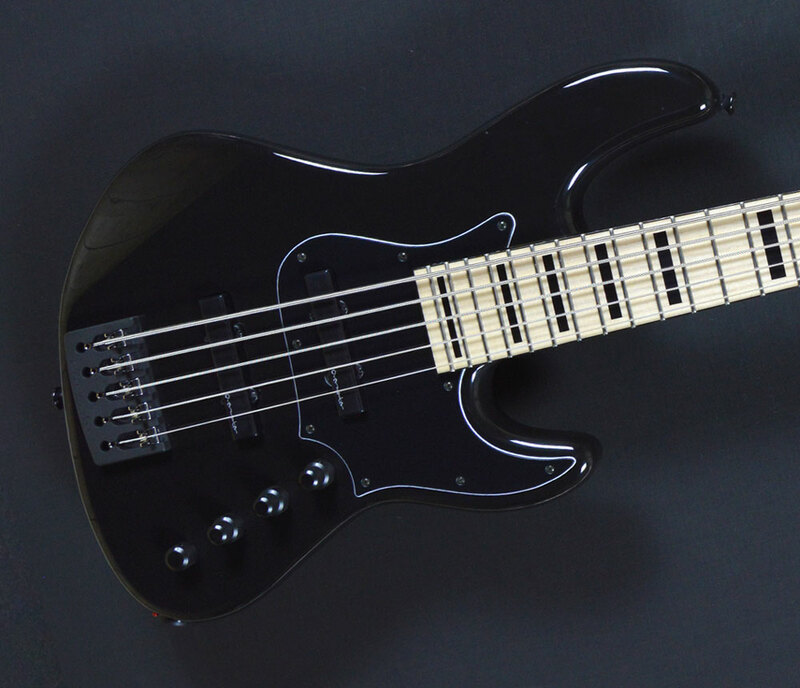 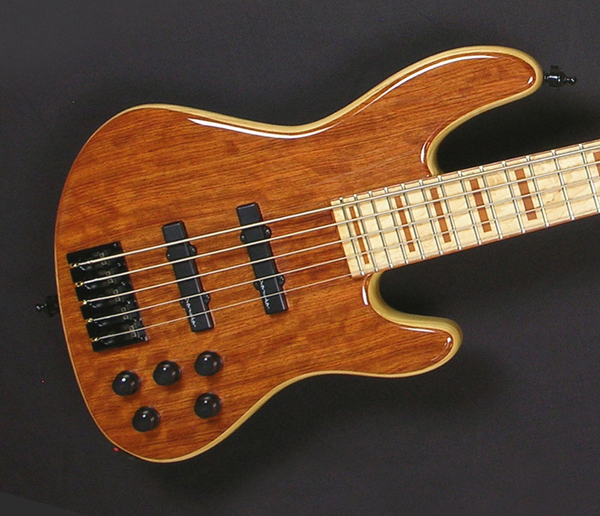 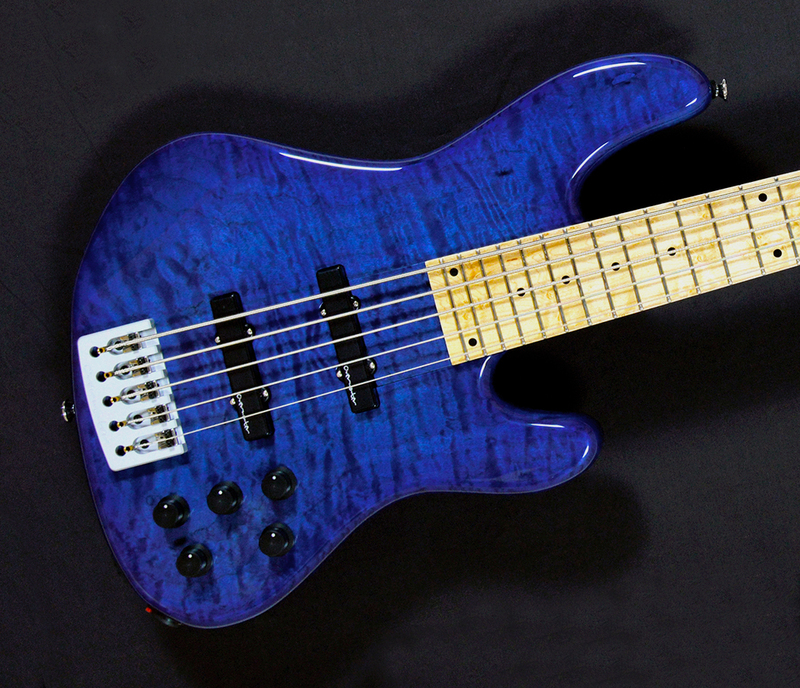 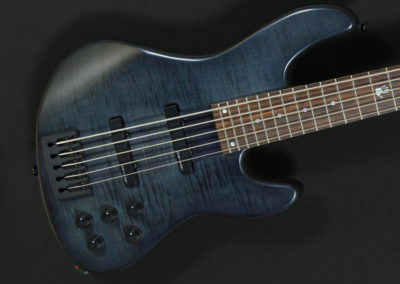 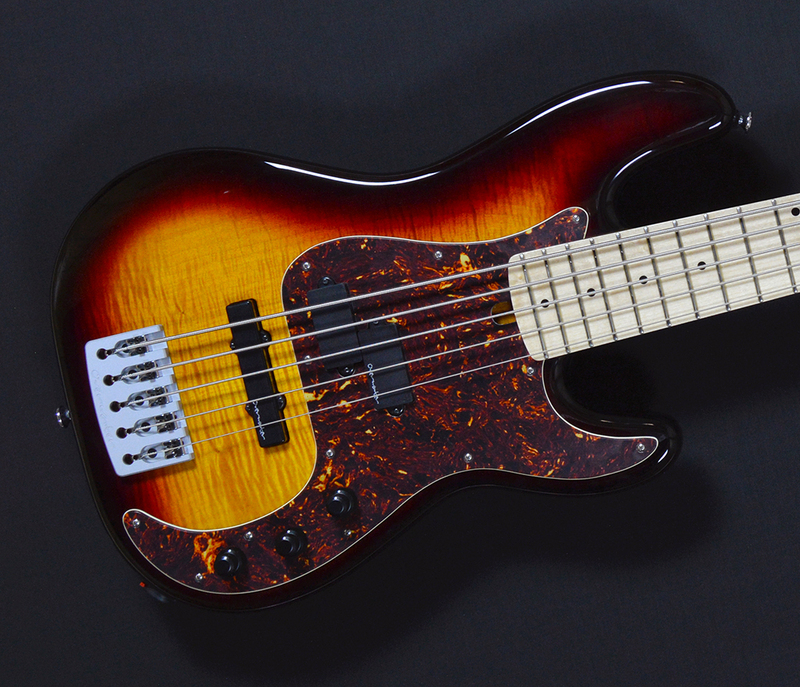 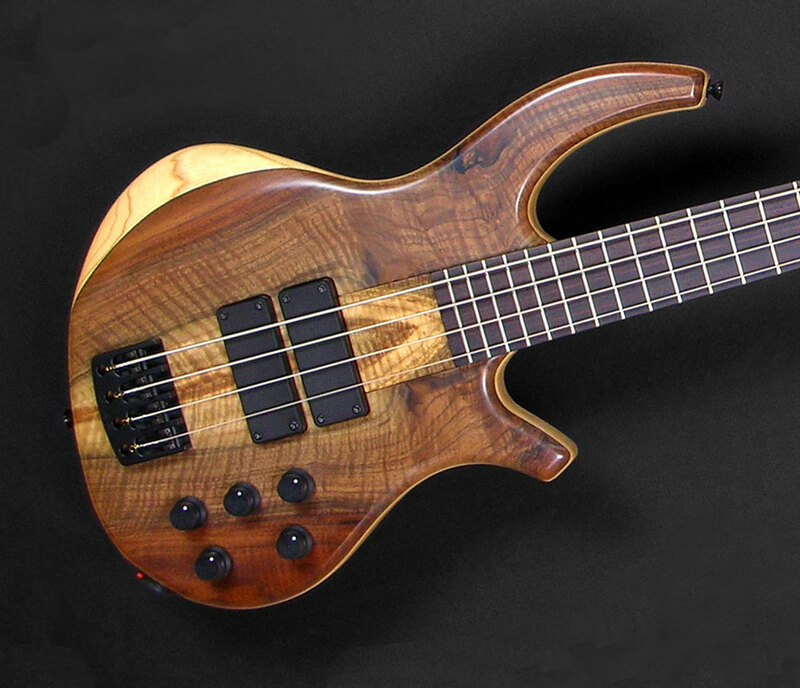 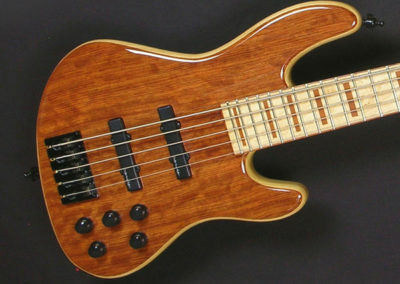 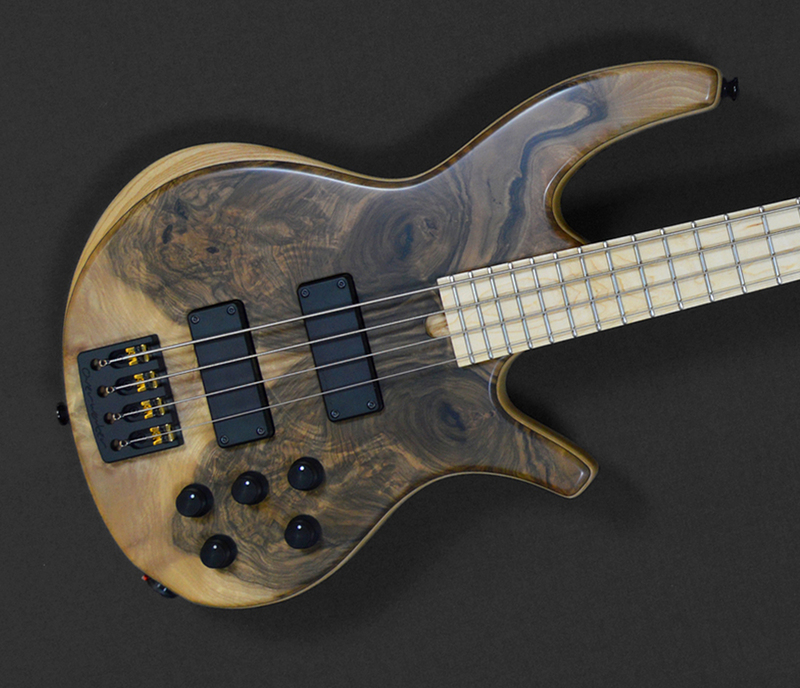 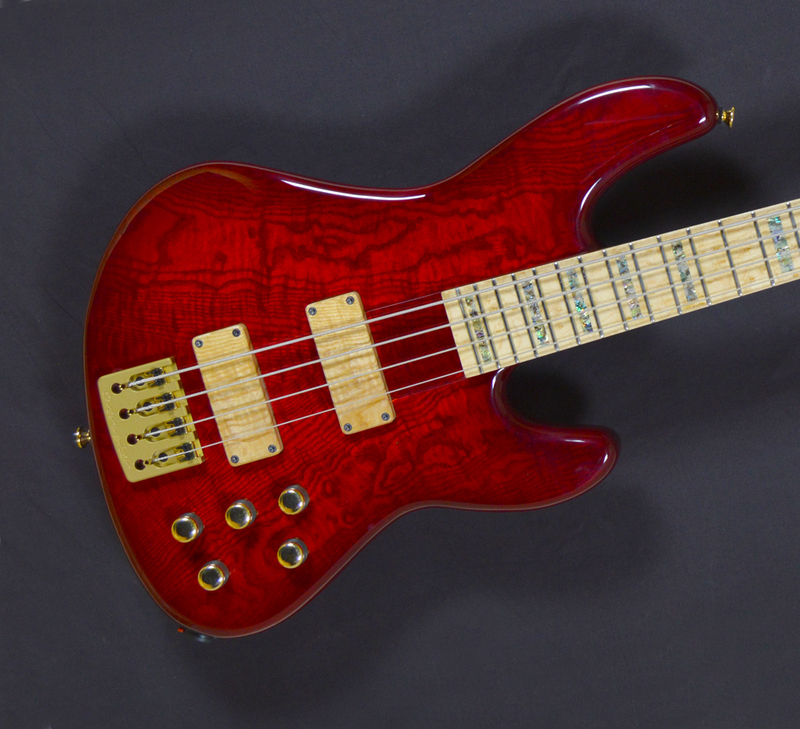 The Hybrid Custom Series of basses combine the multi-laminate construction, extended neck design and angled headstock of the Progress bolt-on with the profile, ergonomics and styling of our Contemporary J Series – ensuring outstanding resonant transference from neck to body, whilst improving fingerboard access, resulting in superior tonal clarity. 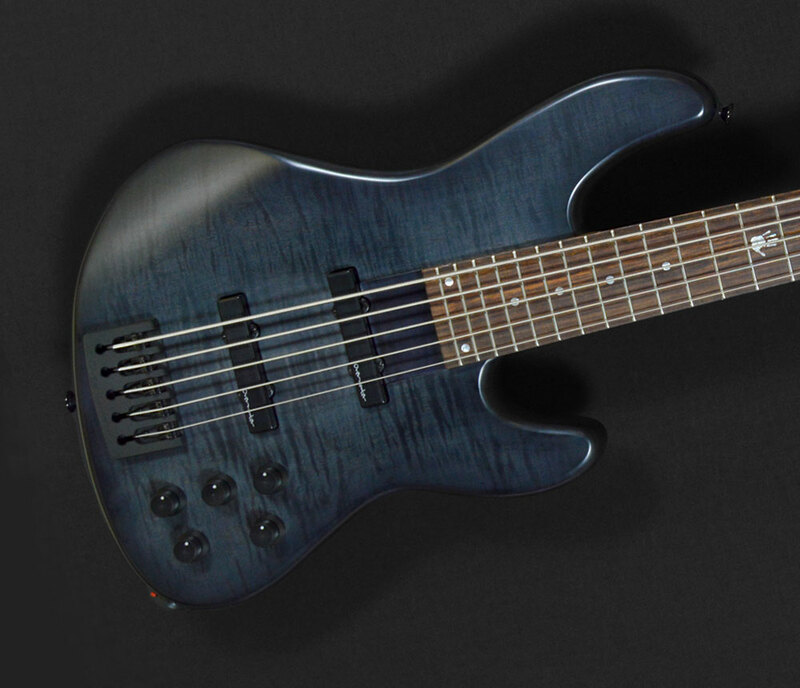 Available in 4 and 5 string formats and with a choice of scale lengths and string spacing, our Hybrid bass comes equipped with Overwaters exclusive electronics, a choice of Noiseless J or fully shielded Soapbar pick-ups and Overwater original design bridges. 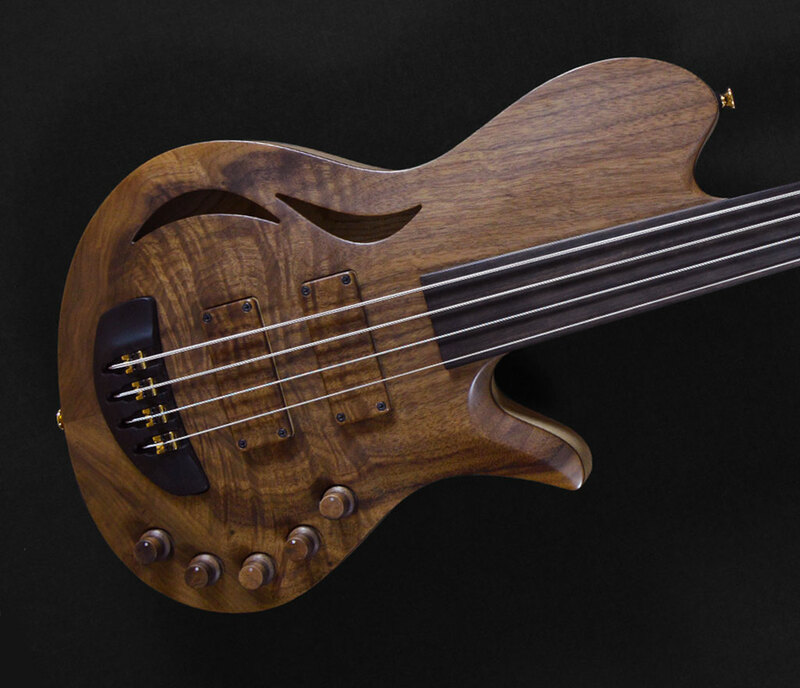 Available tone woods include Ash, Alder, Walnut and Tulipwood with the options of Maple (plain and figured), White Ash, and Wenge neck laminates, coupled with a variety of fingerboard materials. 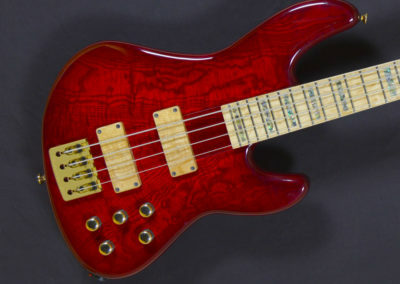 A wide and ever changing selection of figured body and headstock facings are also available – ensuring each instrument its own unique beauty. 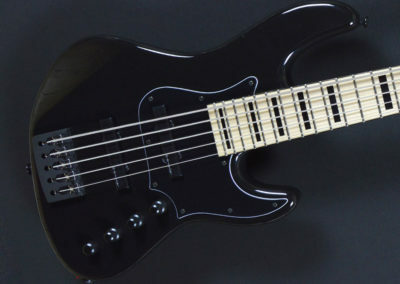 30" - 32" - 33"